Kalmyk soldier costume, armed with bow, arrows and spear. Home » Kalmyk soldier costume, armed with bow, arrows and spear. 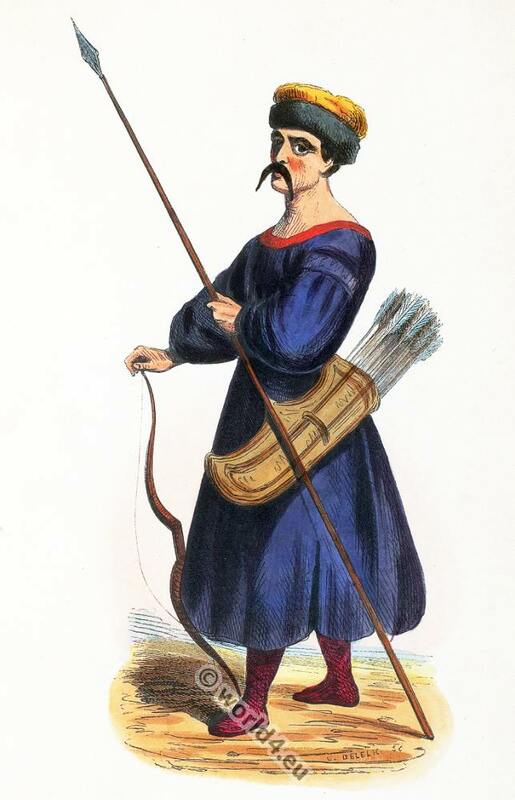 Kalmyk soldier costume, Oirats, Dzungaria armed with bow, arrows and spear. This entry was posted in 19th Century, Asia, Kalmykia, Military and tagged Auguste Wahlen, Traditional Kalmykia costumes on 3/11/15 by world4.